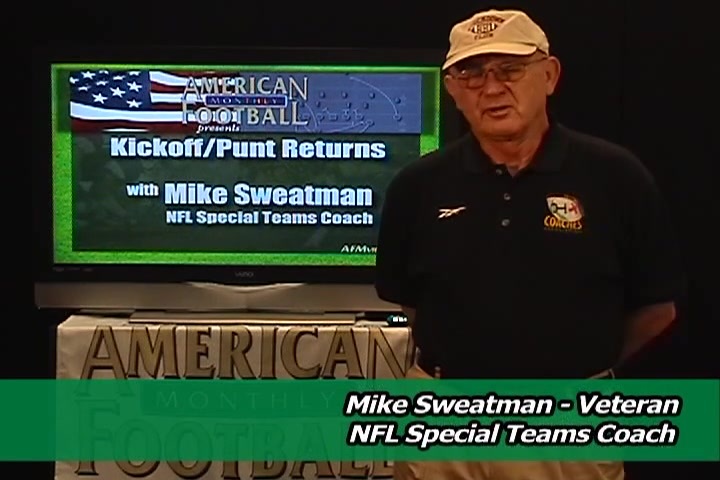 Veteran NFL special teams coach Mike Sweatman details punt and kickoff return techniques and specific drills you can use in his second of three DVDs. 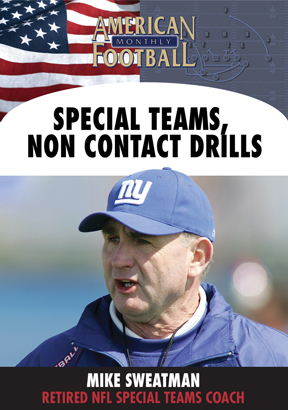 Sweatman served two terms with the New York Giants � one under Bill Parcells and another under Tom Coughlin. In the process, he earned two Super Bowl rings. A 38-year coaching veteran, Sweatman also coached on the high school and college level in addition to stints with the New York Jets, New England Patriots, Chicago Bears and Minnesota Vikings. 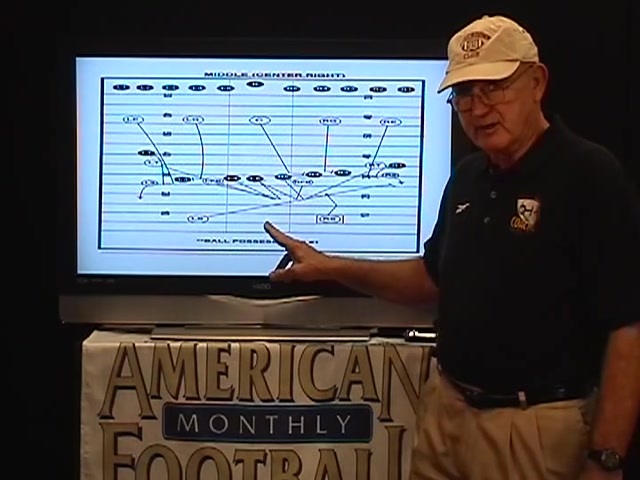 � His general philosophy and strategy related to special teams play. 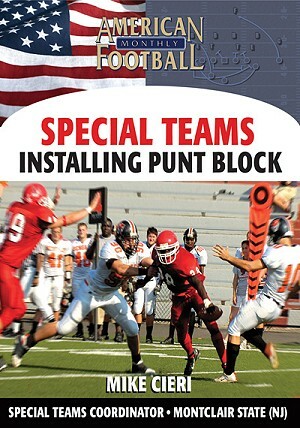 � The tools necessary to maximize the success of special teams. � The importance of repetitive teaching as well as the continuity of knowing your personnel. 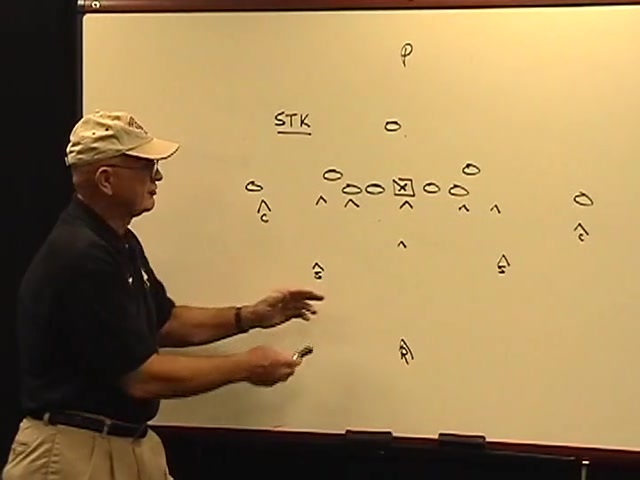 � Understanding that everyone plays a role in special teams play. 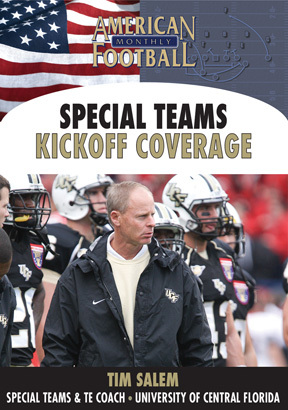 � The critical element of having a special teams playbook and game plan. � Understanding how critical it is to tape your practices. � Why you should grade your players after every practice as well as every game. � Remembering that a punt is a fourth down play. 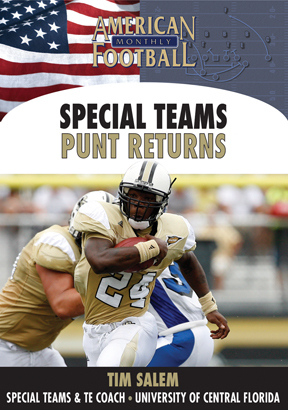 � Jet Left, Jet Right and Jet Force punt returns. � Holding up your assignment on a punt. 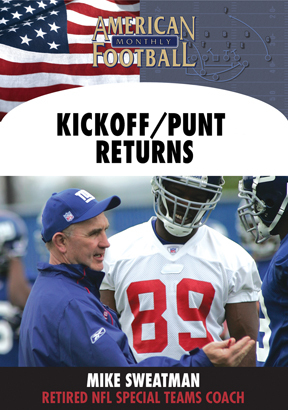 � Wall right and Wall Left punt returns. 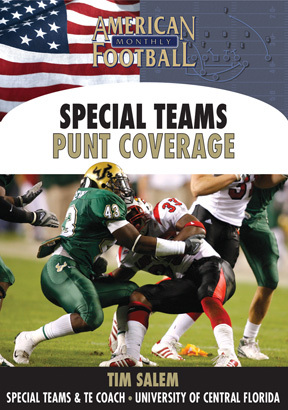 � Defending punt formations � assignments, alignments and responsibilities. 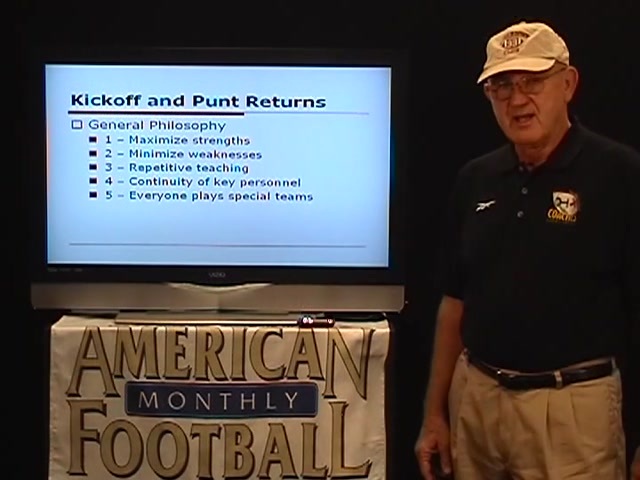 � Middle (Center Right) kickoff return with alignments and responsibilities. 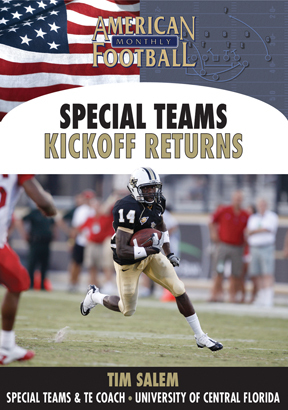 Individual match-ups for a kickoff. 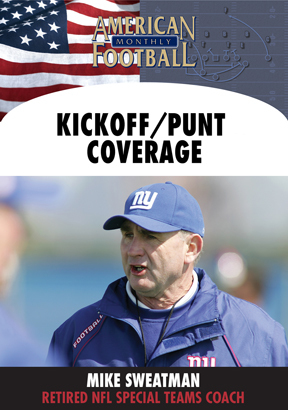 � Bounce Left kickoff with alignments and responsibilities. � Variations of the middle return and bounce left return. � Overall responsibilities for the front line, middle level players and returners.